Brian Corrigan is a dedicated board certified criminal defense attorney who has devoted himself to representing individuals who have been accused, investigated, or charged with State or Federal Crimes. Corrigan has tried over 150 jury trials and handled several thousand felony and misdemeanor cases. Vast experience and trial experience in nearly every crime in the Texas Penal Code coupled with intimate understanding of every level of the criminal justice has resulted in repeated dismissals, plea reductions, acquittals, and dropped charges for Corrigan's clients. Client after client discovers that Corrigan can often drastically minimize or eliminate negative consequences. Corrigan has particularly enjoyed the challenge and reward of tailoring a defense that is best for each individual client that provides the best possible outcome, not sloppy one-size-fits-all defense work. Corrigan's clients also benefit from his career as a 10-year high-level prosecutor. 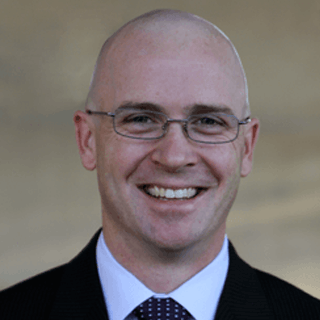 After graduating from the SMU Dedman School of Law in 1999, Corrigan began his career as a trial prosecutor for the Dallas County District Attorney's Office. He was promoted quickly to felony in 16 months and tried and won his first murder case four months later at the age of 27. Corrigan developed a reputation as a fierce trial advocate based on relentless preparation and investigation of his trials. After seven years in Dallas County, Corrigan became the First Assistant District Attorney in the Kaufman County District Attorney's Office. In that position, Corrigan was the top felony prosecutor in the county as well as the 2nd in command to the elected District Attorney. Corrigan has a network of friends in prosecution and law enforcement that bring Corrigan additional credibility in state and federal courtrooms and law enforcement agencies across East and North Texas. Board Certified criminal law specialist zealously and passionately representing my clients accused of crimes in the Metroplex. Top felony trial court prosecutor in the county and right hand to the elected DA. Perfect trial record including 4 murder/capital murder trials. Key adviser to law enforcement on charging and search warrants. Trainer of prosecutors on trial advocacy, case management, and investigation. Tried over 100 jury trials from DWI and Assault to Sexaul Assault, Robbery, and Capital Murder. Beat legendary attorney Randy Taylor in his first trial while still an intern (with a student bar card). Tried and won first murder trial after only 16 months in the office at the age of 27. Promoted from entry level misdemeanor to Felony Chief in only 5 years.